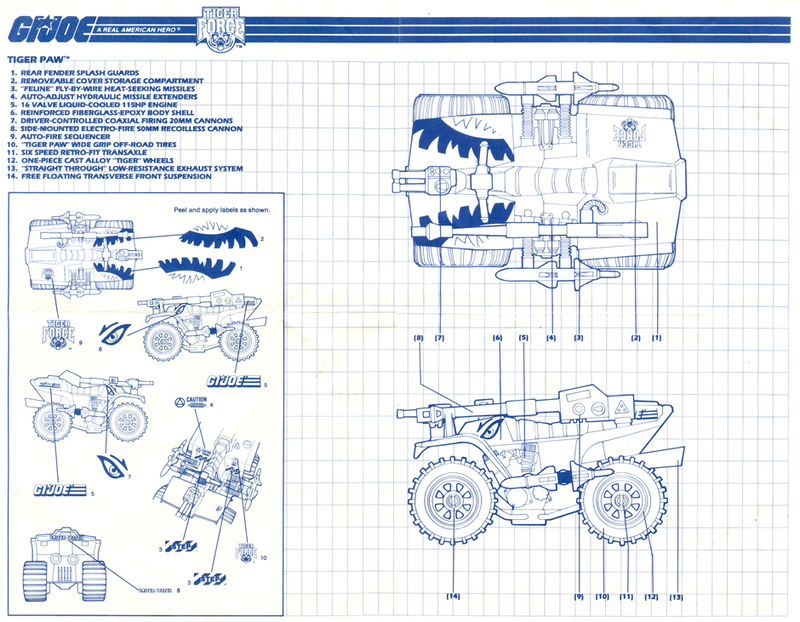 All seven Tiger Force vehicles (five from 1988 and two from 1989) were repaints. 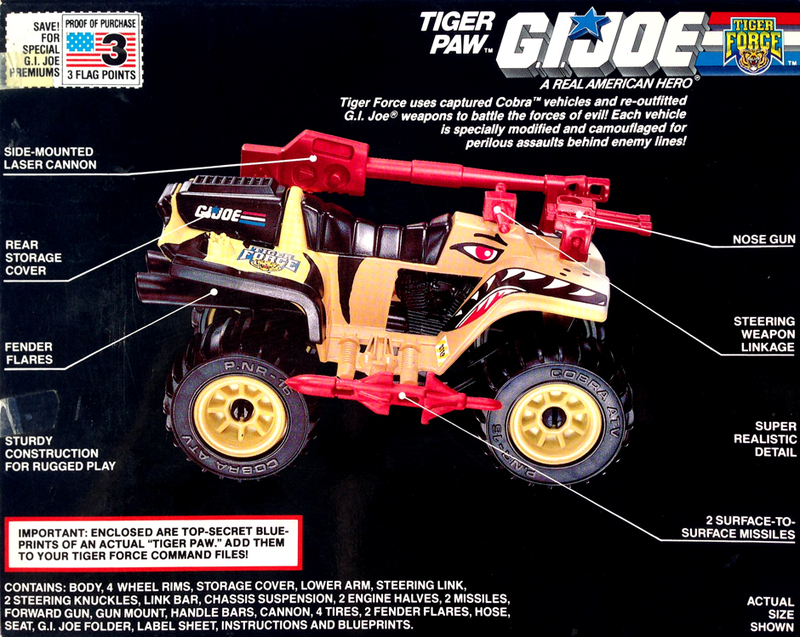 The Tiger Paw is a repaint of the 1985 Cobra Ferret. 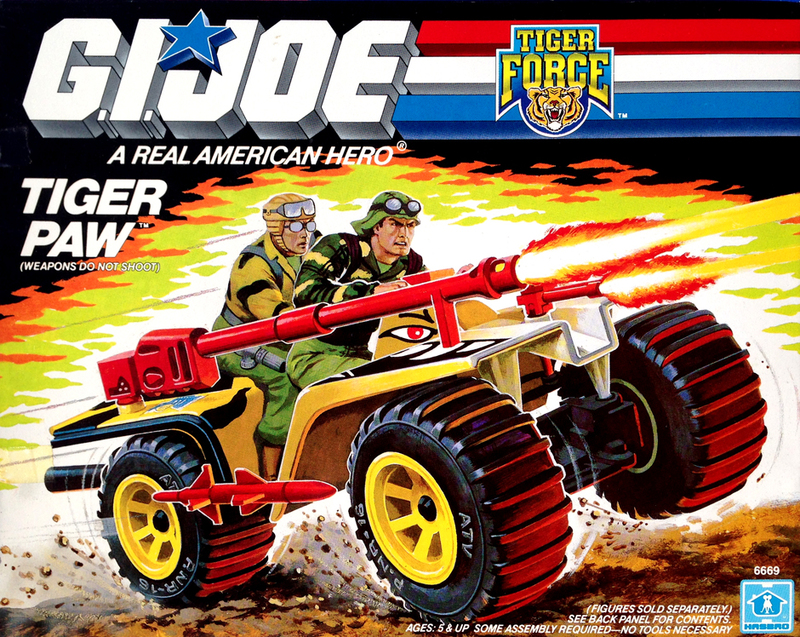 NOTE: Although the box art showed Dusty and Lifeline riding the Tiger Paw, and they're pictured above, they did NOT come with it. Tiger Paw box photos courtesy of Page and Greg Wagner. Check out their eBay store for tons of vintage Joes! 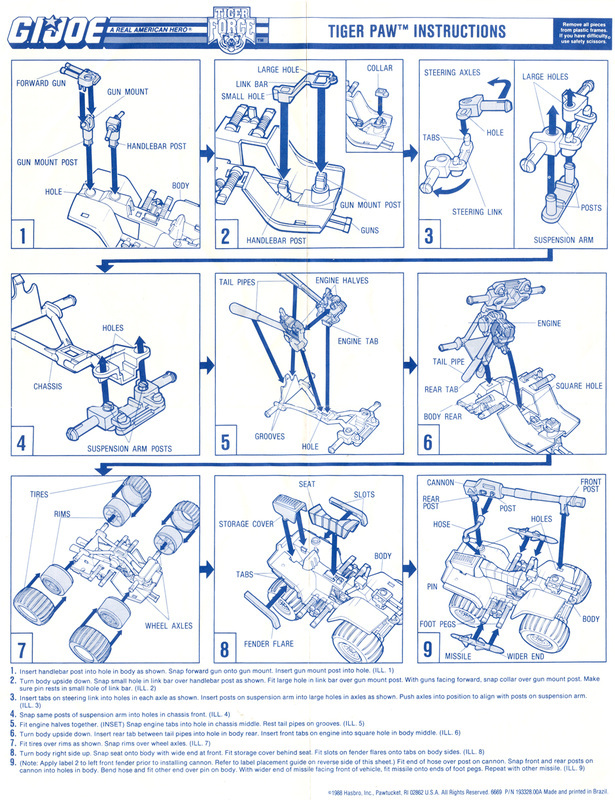 Tiger Paw blueprint/instructions courtesy of Tim Dz.